Online content marketing and SEO are great ways for a business to get more attention, but not every SEO tactic is ethical or worth the effort. Somewhere in the middle between modern high-value strategies and black hat tactics is something called reverse SEO, a recent topic with some divergent opinions surrounding it. 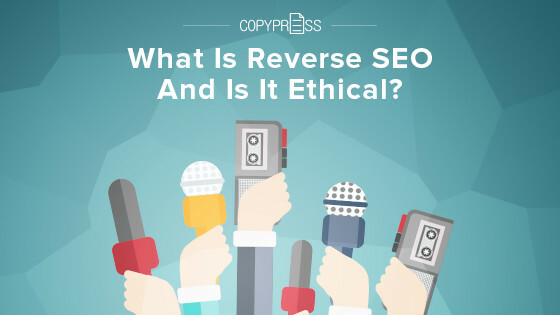 Take a look at what reverse SEO is in detail, how it works, and whether it can be used effectively and ethically. Typical SEO is designed to make certain desirable web pages, such as blog posts or a landing page, appear higher in search rankings. More suitable people visiting these pages leads to more revenue for that business through sales, subscriptions, etc. However, SEO can also be used in the exact opposite manner, to draw attention and page visits away from sites that a business doesn’t want people to see. If your goal is ever to worsen the ranking of web pages, you’re practicing reverse SEO. As an example, imagine that a secondhand goods store with its own online presence is getting bombarded by unfair, unwarranted, and outright libelous negative reviews on independently hosted websites, all by someone with a grudge. Reverse SEO could be used to reduce the attention these pages get, worsening the rank of certain pages, thereby reducing the search traffic they get. Why Is Reverse SEO Controversial? In a sense, all SEO is about content visibility — pushing your own content up in search results and moving everything else down. Reverse SEO is just the most blatant form, and can be seen as a way for businesses to censor criticism, hide important truths from the public, or sweep unethical practices under the rug. It’s easier to argue in favor of reverse SEO when using it against yourself. For example, let’s say that there are certain landing pages that you no longer want to draw attention toward, but for some reason, you cannot take them offline. Reverse SEO could help pull those pages further down in the search result pages of relevant keywords, helping the newer pages that you want people to visit show up higher. The question of how reverse SEO works is as complex as asking how regular SEO works, because it’s essentially the same activity, only with the opposite objective. There are many acceptable means of reducing content visibility, such as creating large amounts of positive pieces. Essentially, moving on in this way is the best tactic you can use, in terms of ethics. Another perfectly acceptable method is to reduce the optimization of any pages you own that you don’t want seen, while emphasizing strong optimization for every page with similar or shared keywords. However, there are also a number of morally gray strategies as well. These include creating brand new social media profiles, websites, and other content specifically to compete for traffic against negative keywords certain sites are built around. For instance, if there is a webpage made by a disgruntled ex-customer titled “[Business Name] Doesn’t Care”, positive content with similar keywords could be made, such as articles about how the business “Doesn’t Care If The Competition Cuts Corners”, using similar words and phrases to redirect traffic that could potentially have seen the ex-customer’s website. A simpler but even more egregious tactic is to just delete everything you own that a separate negative website links to. To go back to the ex-customer example, they could link to social media interactions that prove their points, and link to offending articles. If you delete all of this content, however, the links will be broken, reducing the page’s credibility in the algorithms. 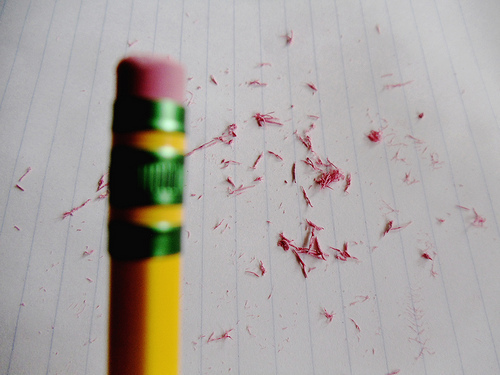 In most cases, however, you should not do this, because deleting large swathes of content can make you look more guilty. When Is Reverse SEO Okay? It’s up to a social media manager or other authority to decide how a business should focus its SEO resources and time, but in general, anything is acceptable so long as the intentions and choices made are honest and pro-consumer. On the other end of the spectrum, reverse SEO motivated entirely to protect your business, even at the cost of hiding legitimate information from the public, is unethical. If you have acknowledged a mistake and released a statement of apology on your website, it’s perfectly rational to use reverse SEO that bumps this page above those who demonize you for something you’ve already made amends over. Helping more people get the full story and see your business in a complete picture is great, but refusing to acknowledge legitimate grievances and attempting to paint over them with obscurity is not, and such behavior will only backfire over time. It’s not always this simple, however. Sometimes you may decide that using reverse SEO tactics to bury the truth is a net positive. For instance, if a particularly malicious individual is doxxing information on your employees or posting information that has nothing to do with your business and should remain private, an ethical case could be made for pulling such content as far into obscurity as possible while privately working to get it taken down. There are also some cases where reverse SEO is no big deal, and can just be used for convenience. For example, let’s say you once cooperated with other content creators, and they haven’t updated certain facts about your business that have now changed. You attempted to contact them many times, but they didn’t respond, and it seemed the page will just remain unchanged. It may be best to work against that content to reduce the number of customers who would be misinformed based on this old, neglected webpage. Online exposure can strengthen or weaken a business. When the internet’s social and search-based nature becomes a business’s enemy rather than a friend, they may be forced to re-brand themselves to try and shed their soiled reputation, creating new social profiles and websites based on a new brand image. Reverse SEO is a worthwhile tactic to protect your business from this tragic scenario, as long as it is used ethically. Whether you choose to employ reverse SEO or not, help your potential customers understand you and what you’re all about through respectful search practices.